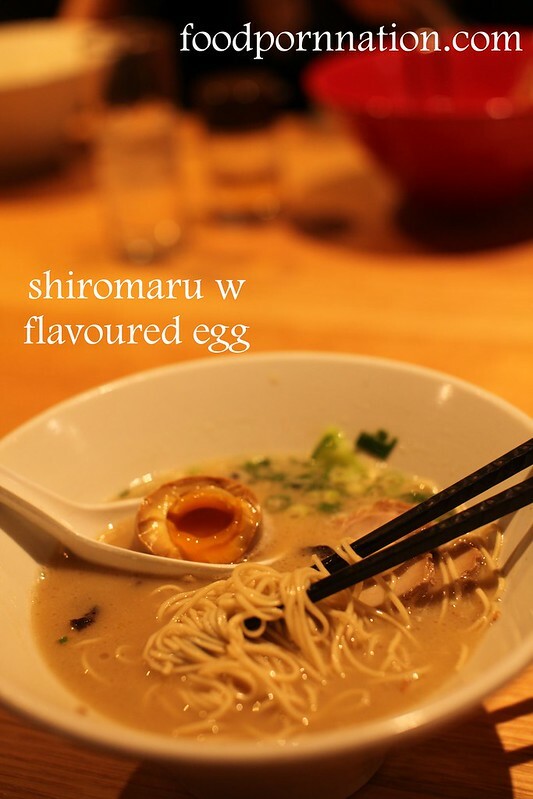 The shiromaru with flavoured egg ($17) is the original tonkostu broth. It is similar to the akamaru but not as rich. 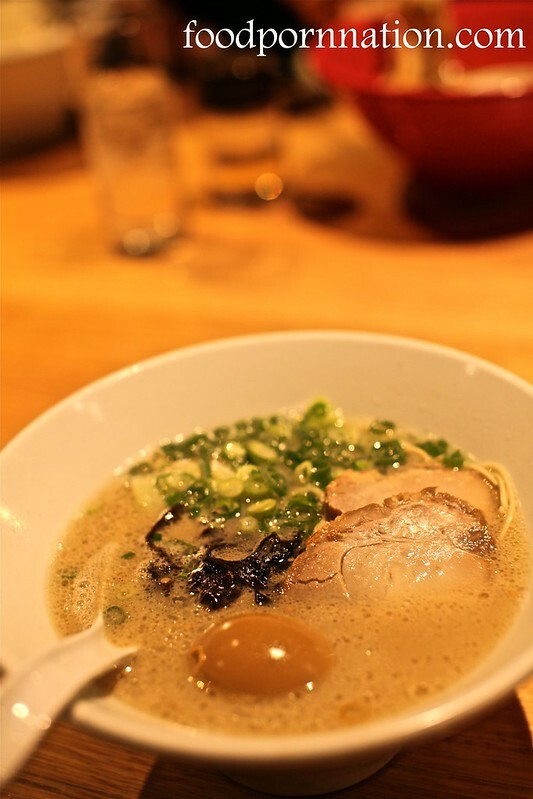 It is the back to basics version but the broth is equally as fulfilling and worthy. It includes thin slices of pork loin, cabbage, shallots and black mushrooms. 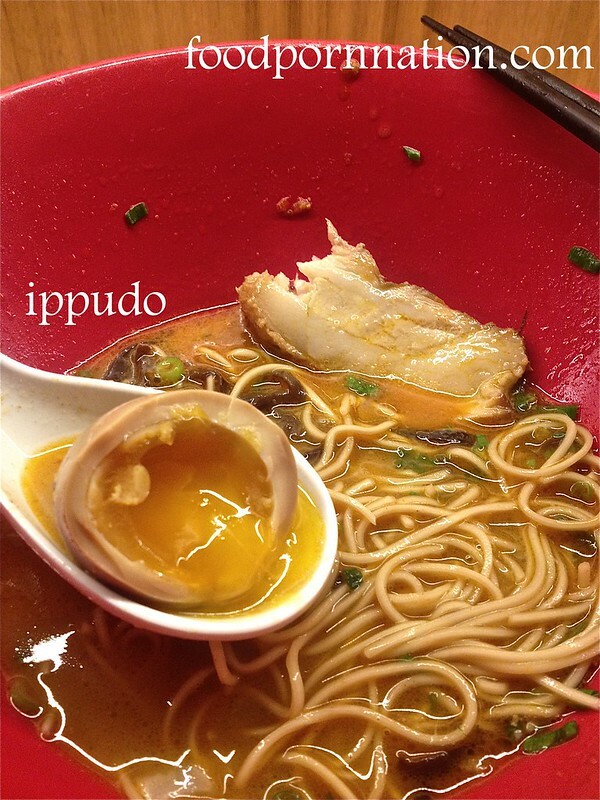 I’m a big fan of Ippudo, I love the Ramen here and particularly love how the egg is served with a gooey soft centre. Staff a friendly and service is efficient but I’m not too sure on the price point… Nonetheless, the ramen is that good I am still willing to wait and pay up. So tell me, how do you like your ramen. Soft, medium or firm? And do you like to slurp your ramen just as much as I do? Agreed. It is the best! There are days when I have a void and it needs filling!!! Only the Akamaru ramen will do the trick. I’ve only been once and went as far as having the unagi. Very tasty but sadly too small for the price tag. Really need to go back and try some udon. 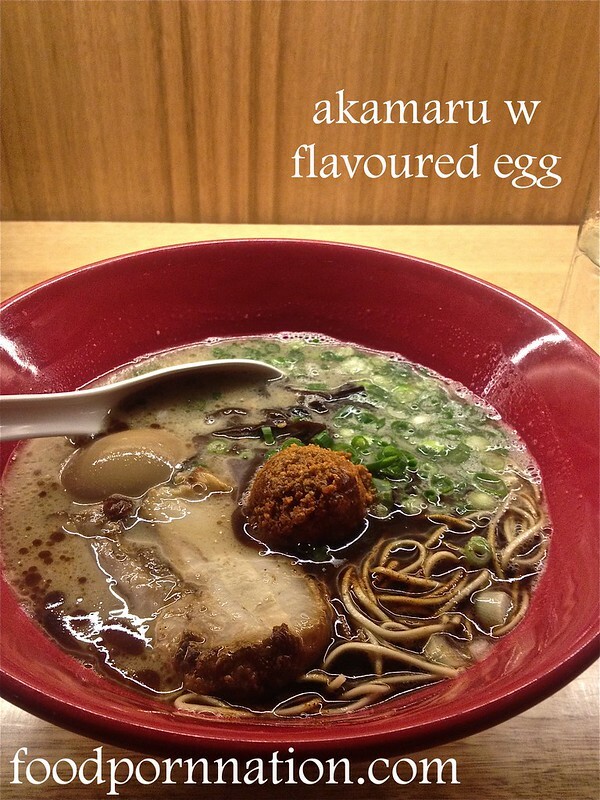 Yes you have to try the akamaru ramen – it is life changing! Love. The first time I came here they asked me how I wanted my noodles, and I didn’t know how to answer! Haha I’d never really thought of it before, so I just asked for how they should traditionally be. I know I was surprised too. I’ve always had a preference but to be asked seemed to be quite out of the ordinary. I really had to think about it! I really LOVE the Akamaru shinaji here as I think I’m in love with ramen tht has garlic oil in it. But like you I think it’s a bit $$$! I tried the same thing at Ramen Zundo the other week (World Square) and it was just as good. Have you been there? Oh no I haven’t. I will have to now. Thanks for the recommendation!! Oh wow! That ni tamago looks AMAZING!! It’s been on my eat list for some time now but I’ve been procrastinating because of the average experience in the Singapore outlet. Thanks for the photos! I have to say I was pretty impressed with the ni tamago too. Can’t get over how soft and delicious the yolk was! I def think it is worth going – check it out. I’ve been meaning to try out Ippudo. The inside of that egg looks amazing. L you must go! It will change your life! It’s worse than crack. 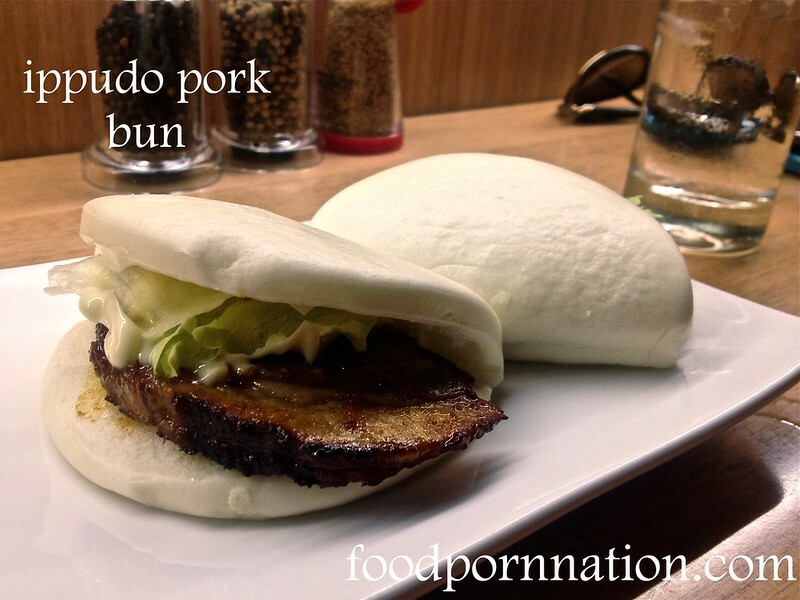 Oh my gosh, the pork buns are definitely, LEGENDARY. 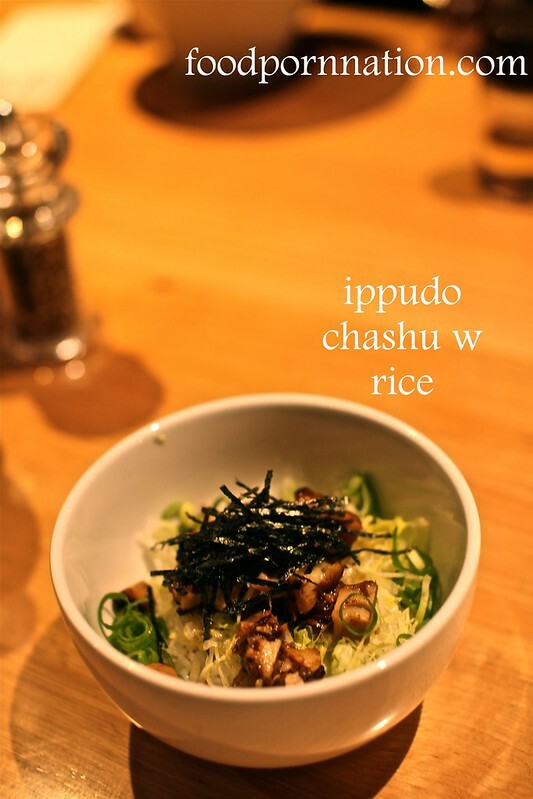 the Akamaru Shinaji is my fave one at Ippudo as well! i love swirling all of those ingredients together and slurping up the entire broth. my friend who is not a big fan of ramen at all loves Ippudo because of the Akamaru ramen. It is pretty unbeatable. I want a bowl of it now!!! Love giving my ramen a good ol’ slurp!